BBC NEWS | Special Reports | Flying from where? Louis Armstrong has one - as does John Lennon. 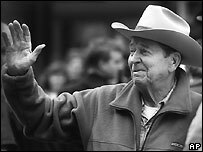 Bob Hope was jealous of John Wayne because he had one. 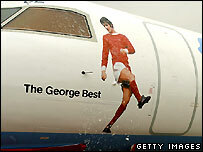 Now the late football star George Best is getting his - an airport named after him. Best, who died in November 2005, already has a plane bearing his image, but on 22 May, Belfast City airport is to be renamed in his honour. Naming airports after the great and the good has been going on since the early days of commercial aviation - an early example came in 1947, when New York's LaGuardia airport was named after Fiorello LaGuardia, the city's mayor who championed its construction in the 1930s. Since then, more than 50 major airports have been renamed in honour of statesmen, members of the royalty, artists, composers, writers, and revolutionary heroes. Usually the honour is reserved for the dead, but Poland's Solidarity leader Lech Walesa (Gdansk airport) and George Bush senior (Houston, Texas) buck this trend. Airports are the front door of the communities in which they are located, so it makes sense to use the opportunity to highlight the greatest local achievers. In Europe, a number of cities showcase their cultural heritage: Lyon Saint-Exupery (author of the children's classic The Little Prince), Warsaw Frederic Chopin, Rome Leonardo Da Vinci, Venice Marco Polo. But one person's hero can be another's tyrant. Passengers landing at Mongolia's international airport could be forgiven for feeling somewhat nervous. 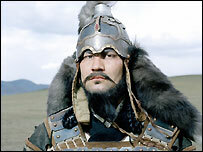 Last year, officials renamed it after legendary warrior Genghis Khan. But political in-fighting can be an obstacle. In Nicaragua, a row over the renaming of the main airport is the latest in a three-decade-old ideological war over the renaming of places like theatres and stadiums. It has already been re-named three times in as many decades. It was inaugurated in the late 1960s as Las Mercedes International Airport, renamed in honour of guerrilla leader Augusto C Sandino in the 1980s when the leftists Sandinistas took power and renamed in the late 1990s Managua International Airport when they lost it. Now, the government proposes to rename the airport after Ruben Dario, considered by many to be the country's greatest poet. The Sandinistas, a powerful opposition party that could be re-elected in November's election, have their own favoured option: Sandino. The renaming of Johannesburg International Airport by the African National Congress in South Africa after former ANC president Oliver Tambo is part of a part of a national drive to make place names sound more African. The plan had met with resistance. The airport was only renamed in the mid-1990s from Jan Smuts - former South African statesman, soldier, and prime minister from 1919-24 and 1939-48 - after it was decided that airports should be named after their localities and not politicians, so as to make them acceptable to all. Critics said the rename is a waste of money, confusing and will undermine reconciliation. Similarly, in Ghana, there is an on-off debate to change the name of its main international airport, which is named after Major-General Emmanuel Kotoka. Kotoka led the coup against Kwame Nkrumah, who is viewed as the father of African nationalism. Some political activists have argued that the name change would "portray a more positive picture of the country's democracy". The decision to rename Washington's National airport after former president Ronald Reagan in 1998 caused a huge political fuss, with critics saying that the goal was to turn the airport into a political billboard to greet visitors. Though in a poll last year, he was voted the greatest American of all time, many still refuse to use the full name on political grounds. Mark Lieberman, a director of Interspace Airport Advertising in the US says officials should be wary of renaming airports after local dignitaries or celebrities. "I can understand why a community would want to name an airport after someone it has an emotional attachment to," he says. "But, the problem with this is that is can turn out to be not very practical." Airports, he says, are the key economic portals into a community, the place where it gets most of its global investment. "The name should quickly communicate what it offers - what it's all about and where it is. For example, you need to think about the tour operator in, say China, who wants to know immediately where these places are." In the US, there has been a trend to rename major airports after noted black Americans - entertainer Louis Armstrong in New Orleans, murdered civil rights leader Medgar Evers in Jackson, Mississippi, Supreme Court Justice Thurgood Marshall in Baltimore and Mayor Maynard Jackson in Atlanta. Mr Lieberman says that while this will raise awareness of a community's local heroes, it can be a headache from a marketing point of view. "Names shouldn't been too long," he says. Thurgood Marshall Baltimore-Washington International Airport is unlikely to be used in full, he says, and how many, he says, would be able to quickly locate Hartsfield-Jackson International Airport? Having grown up in apartheid South Africa, I can understand the ANC wanting to change the names of airports and cities. However all they are doing is repeating the mistakes that the apartheid government made. They (the Nationalist government) tried to "Afrikanerise" South Africa in spite of all the other South Africans. Are the ANC now going to make the same mistake by "Africanising" everything? In the state of Maharashtra India everything is named after Shivaji a Maratha hero king. So you have the Chatrapati Shivaji International Airport and the Chatrapati Shivaji Domestic airport and then the railway station is Chatrapati Shivaji Terminus. In fact there is a joke about every road/school/institution in Mumbai being some variant of Chatrapati Shivaji. Likewise we have the Indira Gandhi International Airport and the Netaji Subhas Chandra Bose Int. Airport. Easy for Indians to figure out which cities they are in, but hard on foreign tourists! The purpose of naming airports is solely to perpetuate the names of the dignitaries and their values. This is unwanted as this objective is far from achieved. People will remember and cherish the celebrities only by their actions/activities and the permanency of the results values achieved. (eg., Einstein, Gandhi) and not from airports' names. Practically and brute logically, airports should be at once renamed after the respective cities. I think it is fitting to have the airport named after George Best as he gave NI something to celebrate and indeed the believe that there was more out there than the balaclava and the ballot box. In terms of the names of airports I am all for it, although in reality it is unlikely that airports will be given their full title anyway, even John F Kennedy is shorten to JKF. Belfast city airport was never really the city airport, its code, BHD, even indicates this as Belfast Harbour. So another name change will not matter especially as it is for such a figure. Furthermore I can remember a move that years ago Belfast International Airport remove the international given it had no international flights. Thankfully things have changed now. Yes, back to Colombo International Airport, and a law passed never to change it again! Have you tried tracking the name changes of our one international airport? Katunayake, Colombo, Bandaranaike (as it is now, a revival, a word few in the world can even start to pronounce correctly)...back and forth, back and forth,... as Governments changed. I agree with what the author says about the name needing to be practical and giving a clear indication of the location. Sri Lanka is classic for attributing streets, too, with tongue-twisting and elongated names of people -- and not forgetting to include their initials, too!! What about the absurd Doncaster Sheffield Robin Hood Airport, as the old Finningley airport near Doncaster has been renamed. It's not all that near Sheffield (which has it's own small airport already), and (criminal outlaw) Robin Hood may have been from the Doncaster area, but he is much more widely associated with Nottingham. What would have been so bad about just "Doncaster Airport", or even South Yorkshire Airport? Here in Botswana we named our airport "The Sir Seretse Khama International Airport" after the late and first president of Botswana. I'm against the idea of renaming an airport after a rebel leader. Why should we do this? When Mayor Maynard Jackson's name was added to our airport name a little while ago, it caused a major racial division in the community. The original honouree, Mayor William Hartsfield (who was white), worked to get the airport built in the first place, and the name change smacked of pandering to African-American political powers. Jackson's family, according to what I recall of media reports at the time, wanted Hartsfield's name completely removed in favour of Jackson's. The hyphenated version with which we live today was a compromise, but, to be honest, Jackson's name still gets left off the name in normal conversation. It's just too long, and people are used to referring to "Hartsfield." In Washington, you can tell whether someone is a Republican or a Democrat by whether he talks about Reagan Airport or National Airport. Hartsfield-Jackson Airport sounds like it might be in Jackson, Mississippi (or Jackson somewhere else), but as you know, it's the world's busiest airport, in Atlanta. It used to be just Hartsfield Airport, and some people thought it was Hart's Field (named like a military airfield). Now they're calling it - and the whole city - "the A.T.L.". Why not call Atlanta Atlanta? Our airport's name has recently been changed from Beirut National Airport to the Rafik Hariri airport. And though we owe the new facilities and refurbishing to our late prime minister, his name is too synonymous with a political stance, and a capitalist approach of privatisation. To change the airport's name from that of the city to that of Hariri makes it sound like yet another thing we've sold, that has been privatised, that is not ours any longer. The idea that Ronald Reagan is "now rated as one of the greatest American Presidents" is laughable! More seriously the naming of airports after local sporting heroes or politicians can often mean that the name means nothing to the outside world! Who can say where Grantley Adams International Airport is by name alone? The wonderful "Castle Donnington" became the dreary "East Midlands" and should revert as soon as possible. The new airport at Doncaster is "Robin Hood", which may confuse people a little, although I like it. As I make travel plans I use the Internet. It is impossible to know all of the airport names and when the airport carries the name of a local hero rather than the city itself, it can become confusing. This is particularly a problem when I was familiar with the former airport name. The problem is compounded when the city has several airports. Renaming airports after local heroes that are not always known to the world as a whole only adds to the difficulty and stress of making travel plans over the Internet. There are already alternative names for the four London airports: Thiefrow, Ratwick, Standstill and Looting. To all of which I can testify by personal experience. It would be fun to rename "Bristol" although I can't decide between "Isambard Kingdom Brunel", "John Cabot" or the original and unforgettable "Lulsgate Botton". "Norwich" was once "Horsham St Faith", which is much more fun, although you could also consider the old folk-dance character "Snap the Dragon" who now hangs forlornly in the castle museum. Toronto's international airport was renamed after former Prime Minister Lester B. Pearson. While I think that renaming airports isn't necessarily a bad thing, I can see how it would be less practical. Perhaps renaming should only be used in cities with more than one airport, but the honorary name should be second to the city's name. It would be similar to multiple campuses of the same university (UCLA, UC Berkeley, etc.). For example - Paris International Airport, Charles de Gaulle Terminal (or something similar). Milan city airport is named after Enrico Forlanini, a pioneer of aviation, and one of the first engineers who built a functioning helicopter. I am very proud of it and I would not change the name of Milan city airport. Greetings from Italy. Luigi. It's such a common practice to name all public property in India by the name of the leaders . Not only airport , but even stadium , roads , and buildings .I think if we do some sort of survey in India , I am sure more than 50% will be named on Gandhi or Nehru family. I'm totally against naming public places in the name of politician , but if it is a sportsperson or literary figure , it should be welcomed . I'm still trying to figure out why after 9/11 the Port Authority thought it necessary to change the name of the airport from Newark International to Newark Liberty International. I think it has to do with executives trying to validate their jobs. I think that it is absurd that an airport should be named after George Best, a man who ruined his career with alcohol abuse. What kind of signals are we sending to our children? 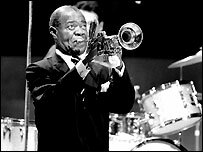 By the way, Louis Armstrong hated New Orleans and refused to live there in his later years. What foolishness this all is. Changing the names of airports can also have a negative effect on countries. For instance, in Albania, Tirana renamed its airport Mother Theresa. Now, Mother Theresa was born in Skopje, Macedonia, her parents were believed to be of mixed nationality. She grew up in Macedonia, then went to Ireland where she founded her charity organization and settled in Calcutta India where she helped millions. According to this Skopje & Calcutta have by far the greatest right to name their airports Mother Theresa, even Dublin, much more so than Tirana. Our Airport is called "Skopje Airport" so people know where they actually arrive, it sounds a lot better than "welcome to John Wayne" even though he was a great actor. For those in the airline industry, the full names of airports are rarely used. Most people think in terms of the three letter airport code. ORD for Chicago, LAX for Los Angeles, YVR for Vancouver, LHR for London Heathrow etc. The full name is just something on the sign outside. Edvard Grieg International Airport. Strikes me why they haven't re-named the airport, since the great composer's name is used on other major spots. The airport that serves northern Taiwan is called "Chiang Kai-Shek International Airport" but as he was a very controversial figure in Taiwanese history, many from the governing party refer to it as "Taoyuan International Airport" (after the area it is in). Wasn't there a plan to name Gatwick Airport 'Winston Churchill International' at one point? Personally, I think that naming airports after people has no value at all...what is the point? I think in Los Angeles Airport (LAX)should be named James Stewart International Airport. I think the re-naming of airports after anyone at all is a civically ostentatious sycophantic aberration of political correctness gone mad. Especially when the renaming honours one ethnic group over another, as the naming of US airports after African-Americans has demonstrated. How can this be socially beneficial? It causes dissension and division. Surely the money is better spent on something less divisive to promote social cohesion. As for George Best, is Belfast advertising their greatest export to date has been an alcoholic? Airports should follow the trend of great sporting arenas and stadiums. In Chicago, for example, O'Hare International could become Proctor and Gamble International and perhaps Chicago-Midway could become Chicago-DHL. It worked for the White Sox, who play at a new Comiskey Park, I mean US Cellular Field. Yes...! Most people find it all but impossible to pronounce Gatwick properly....We should rename it in honour of that greatest of British heroes... Spike Milligan International. So much tedious vanity. So much petty political squabbling over naming of airports. Why not rent out the naming of an airport to the highest bidder? So we could have names like "Butlins London Heathrow", or "Pizzaland London Gatwick". At least it would get some revenue and give us all an occasional chuckle. Our new Athens international airport was named after a Greek politician of the 1920s. Yes the man was probably a good statesman, however, Try to say "Eleftherios Venizelos Athens International Airport". Our Foreign visitors have enough trouble with the Greek language, I don't think they need more. A simple Athens International would do the job fine, leaving politicians out of it. Sydney Kingsford Smith Airport is both a useable and non-political name for the international airport, as it is named after the world famous (at least in Australia!) pioneering aviator, Sir Charles Kingsford Smith. He was not only the first person to make a round-the-world flight (with co-pilot Charles Ulm) in 1928, he also paved the way for long-haul flights to become the normal and most economical way to travel long distances today. All in all, probably more appropriate/relevant than renaming it Sydney Paul "Hoges" Hogan Airport, even if there is global name recognition for another of Sydney's favourite sons! In Oporto, Portugal, the local airport was re-named after a former prime-minister, Francisco Sá Carneiro, who died some years ago in a plane crash. Not ideal for nervous flyers. The airport of Budapest is officially called Budapest-Ferihegy Airport. However it can not be pronounced by foreigners. It would be much better to name it after a famous Hungarian. For example: Bela Bartok (composer), Ignac Semmelweis (doctor), Oszkar Asboth (inventor of helicopter), Janos Neumann (inventor of computers), or Mihaly Munkacsy (painter). 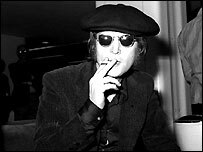 Liverpool - John Lennon Birmingham - Ozzy Osbourne! Naming airports after individuals causes total confusion as many people may never have heard of the local hero. Surely it should be compulsory to name airports after the town / city - Washington, London, with possibly an ancillary name such as a North, South, or nearest suburb. Like this anyone was a modicum of geographical knowledge can know exactly where they are going to land or can look up the site on a map. In earlier good days, Kolkata airport was Dumdum airport. Now it is Neataji Bose Airport. Neataji was prominent figure of 20th century. My concern is that why it in not named Tagore or Vivekanada airport. These two gentleman are far more greater in there achievement in life. One is noble prize winner, later is most motivational leader India ever saw in this millennium. Do we expect name to be further changed once new popular figure emerges and dies in 21st century? I think airports should be named after important people in our society. So when we grow up and have children, the names of these heroes will be in our history forever. So for me, i think it should bee named after only important people that contributed well to our society and not people that came into power to bloodly coups and all sorts of bad things...Hope my contribution helps in a way. Thank you. Andy Kermah, Kanifing South, The Gambia. Before Hong Kong got its new airport, the old one in the city centre was called Kai Tak Airport. Kai Tak was a combination of two names, two people who were involved with the airport in some way ( I've forgotten how they were involved..sorry!). The name now invokes memories of a bygone age of aviation, especially that of planes swooping low over Kowloon peninsula before landing. However, with the new airport at Chek Lap Kok, it is perhaps fitting to move on and give the airport another name, albeit a slightly dull one, but one that serves the purpose: Hong Kong International Airport. The Strasbourgh-Entzheim airport should be renamed after Winston Churchill. With the Council of Europe and (half of) the European Parliament, Strasbourg is still the symbol of European cooperation further to WWII which Churchill was the first to envisage. Furthermore it would make up for the recent destruction of Churchill's Bridge and would prove that the French are not as chauvinistic as other people think - or are they? No. Moscow airports (Sheremetyevo, Domodedovo, Vnukovo, Bykovo) were named after local suburban places, like anywhere in the world. Local names almost always reproduce native local flavour and sounds of inhabitant's language. The current name of Port Moresby airport is Jackson's Airfield but I think they should change it to Aberystwyth Airport because after having lived in PNG for some 14 years I have not received any visitors from the town of my birth. Maybe changing the name will make them feel less insecure and dare to venture beyond the town boundary, maybe to PNG where my family and I would love to meet with them! Seems you forgot to mention Mauritius's famous Sir Seewoosagur Ramgoolam International Airport...! London is surrounded by 4 'major' and a few minor airports, so names are important. Frequent flyers know that JFK airport is in New York and Charles de Gaulle airport serves Paris, but how many people know that Frankfurt (Main) and Frankfurt (Hahn) are not the same airport? In fact, the latter is miles away from Frankfurt. Marketing, press coverage, tourist information etc can do a lot to rectify this. It might be okay to name an airport after a popular entertainer or public figure safely in the past. But it shouldn't be a recent controversial figure such as Reagan. Why should the name of an airport tick me off? I just want to fly there, not pay homage to a politician I can't stand. Remember what happened to Graz sports stadium. They named it after their town's famous son, Arnold Schwarzenegger, who'd gone from weight-lifting to acting to politics. Then he approved the death penalty and after protests they removed his name from the stadium. I believe that in response he sent back the ceremonial keys to the city which had been presented to him. Montreal's international airport, Dorval (named after the municipality in which the airport is situated)on the island of Montreal was renamed Pierre Elliot Trudeau airport, shortly after the former prime minister died a few years ago. While I believe that Mr. Trudeau was one of the best prime ministers Canada has ever had, my fondness for him is certainly not held by all Canadians, especially in my native Quebec. I don't think it was a wise decision to change the name of the airport for the simple reason that, as in South Africa, the naming of any public place, monument or street has political connotations which can spark debates that are probably best left to fizzle out in the interest of reconciliation. Dorval worked well. For Montrealers, not only does it indicate where the airport is located, it is a name that also provided relief in the 1980s and 90s indicating that a flight out of Dorval saved the hassle of travelling the long distance to the now defunct Mirabel (also the name of its location) airport to board trans-Atlantic flights. I'm in Johannesburg as I write this e-mail and follow with great interest the debate over name changes. There were a number of changes throughout Quebec after the separatist Parti Quebecois first came to power in 1976. There will be many more name changes in South Africa over the coming years. I suppose all we can say with any clarity is that nothing is forever. The airport at St. Dennis (on the island of Réunion) is named after Roland Garros, who a lot of people associate with the French tennis championships. Peugeot has also used the Roland Garros name and colouring for a number of its special models. However, what is interesting is that Roland Garros was an experienced pilot, who served in WW1. So perhaps Réunion's use of the name is the most appropriate! Palisadoes was the beautiful name greeting people flying into Jamaica's main airport, now it's Norman Manley Int'l which is cumbersome and egotistic in it's pronouncement. One name describes a delicate landscape jutting into the Caribbean, the other a politician rapidly dissolving into lost memory. I think it would be nice to name the airports to honour people who contributed to human culture and science. So politicians and national living and dead leaders must be exclude. In the case of Lyon´s airport, Antoine de Saint Exupery was not only a writer, but was also a famous aviator. In Buenos Aires the airport is named after an Argentinean famous aviator too, Jorge Newbery. It is about planes, isn't it? I do believe airport names should make local sense and not be named after persons. How do you choose the right person? How do you ensure you will not change your mind? How do you ensure that nobody gets offended? The Paris airport, as mentioned by Mr. Meunier, is interesting for me to hear. In many countries, Paris' main airport is known as Charles De Gaulle rather than Roissy, and people actually get confused when locals refer to it as Roissy. Perhaps the IATA code of CDG has something to say in this respect. There's been a push to rename Nassau International Airport as "Sir Lynden O. Pindling International Airport" - the locals, however, quickly noted that the acronym would then be "S.L.O.P. International" - considering the broken-down state of the airport infrastructure, perhaps an appropriate moniker! Why the fuss? No one uses these whimsical names anyway. When I go to Jakarta I ask for a ticket to Jakarta. I never ask for a ticket to Jakarta Soekarno-Hatta Airport. As for the taxi drivers - "airport please" does just fine. They would think I was stark raving bonkers if I said "take me to Soekarno-Hatta Airport". Since Republicans in Congress couldn't quite rename the city itself to Reagangrad and hang giant posters of the guy at every street corner, they bullied airport management into renaming the airport instead. Long time local residents, and long time airline personnel, use the old name. Hartsfield-Jackson International Airport should be REVERTED to Atlanta International Airport. What is with people's vanity that makes them change things from the practical to the practically unlocatable?